Mark Pringle caught some ears a few years ago on a richly accomplished album of piano duos with the great John Law, recorded as a teacher’s acknowledgment of a student he recognised as something special. Now his debut CD under his own name shows ambition to match his talent. Rather than the piano trio offering you might expect, it is a suite of newly composed pieces for an eleven piece ensemble. It immediately establishes him as a striking writer and orchestrator as well as a fine keyboard player. 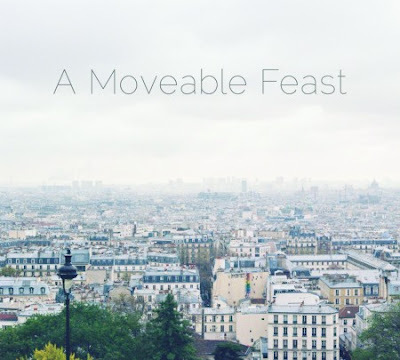 It was recorded in Birmingham, where most of the players are based and where Pringle studied at the Conservatoire, but the music was inspired by Paris, where he has also lived – A moveable feast was Hemingway’s verdict on the French capital. The Parisian connection comes through in pieces inspired by places and people. Ode to the Trees is a nod to the Bois de Boulogne, with two flautists, Dan Searjeant and Alicia Gardener-Trejo giving an impression of birdsong before more turbulence sets in later in the piece. The opener, A Real Bombshell, takes its title from a remark of Messaien’s about a score by Debussy, and the writing here – especially for the string quartet who play within the group – draws freely on classical as well as jazz sources, keeping them in an intriguing balance. The players respond with gusto, Percy Pursglove on trumpet delivering a blistering solo worthy of Kenny Wheeler in his prime. It is one of many standout moments in a modest set that lasts just over half an hour, but the lasting impression is the variety and the skill in creating fresh orchestral effects that Pringle deploys so well. He uses the wealth of possibilities of strings, brass (just the one trumpet), reeds and jazz rhythm section, including his own sparkling contributions on piano. Touring economics mean you are most likely to catch him live with a piano trio, but this impressive CD is a calling card from someone who surely deserves opportunities to create music for even larger forces in future.